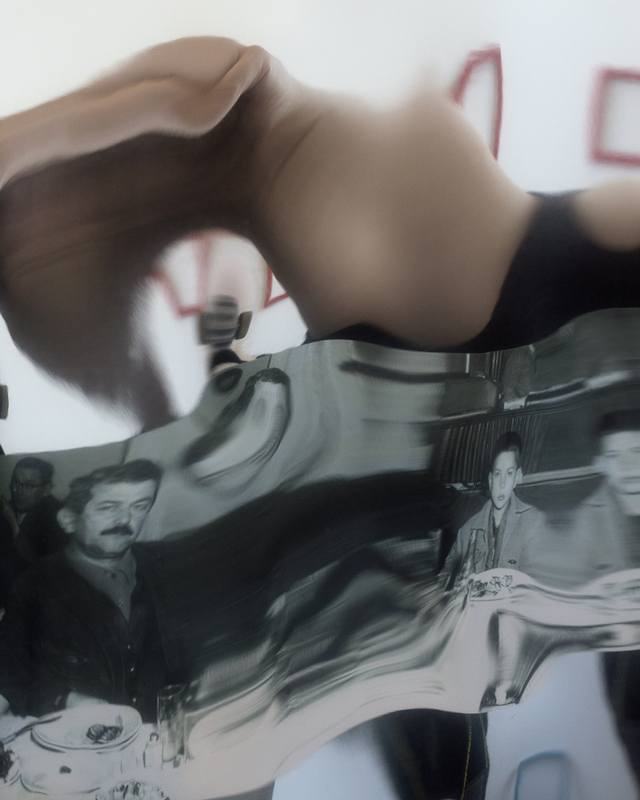 Ufuk Gueray is interested in how cultural and political context can shape the understanding of art. 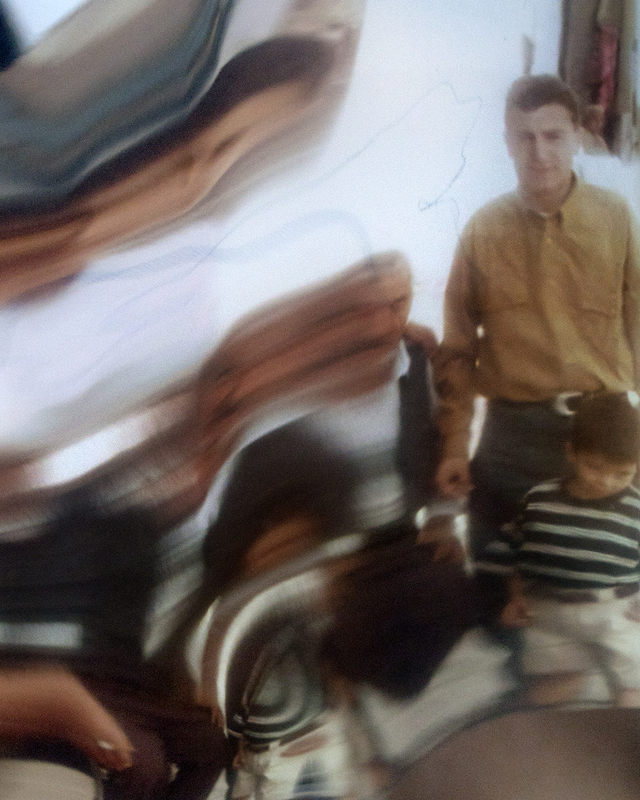 Although primarily a painter, his current work uses sound, installation and relational processes in a project dealing with memories of his late uncle’s mirror shop in Izmir, Turkey. Ufuk Gueray (born in Herrenberg, Germany), is an artist of Turkish background who has lived and worked in Canada, Germany and the United Kingdom. His work has been featured in group and solo exhibitions in Canada, Germany and the United Kingdom. 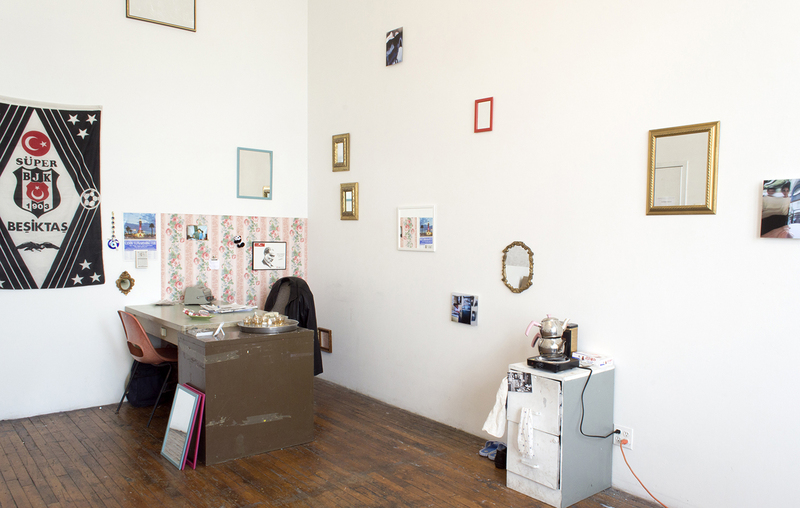 Ufuk Gueray, Atilla's Mirror Shop, 2018, mirrors, photographs, soccer flag, leather jacket, and various other objects, installation view at ISCP. 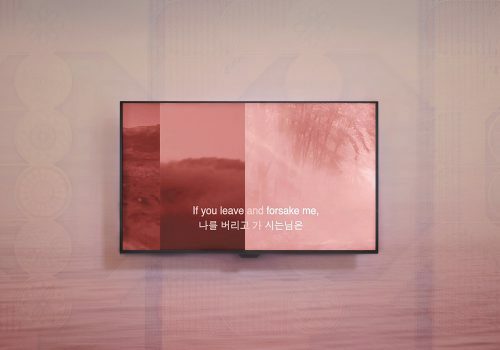 Ufuk Gueray, Untitled, 2018, giclée print, mounted on dibond, 10 × 8 in. (25.4 × 20.32 cm). In collaboration with Erica Mendritzki. 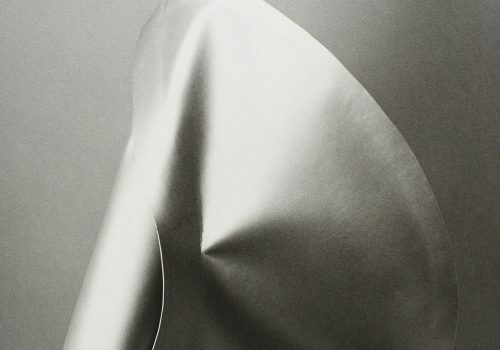 Ufuk Gueray, Untitled, 2018, giclée print, mounted on dibond, 10 × 8 in. (25.4 × 20.32 cm). 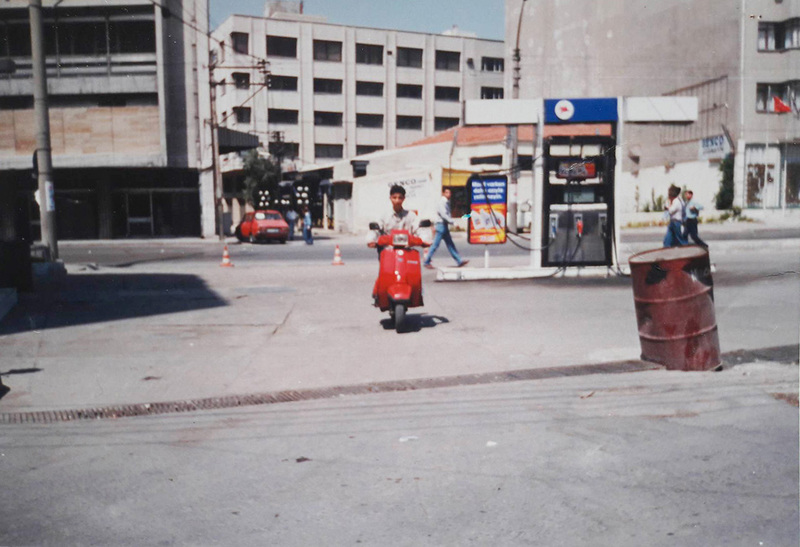 Ufuk Gueray, Research Image: Kapilar neighborhood of Izmir, late 1980s, digitized image. 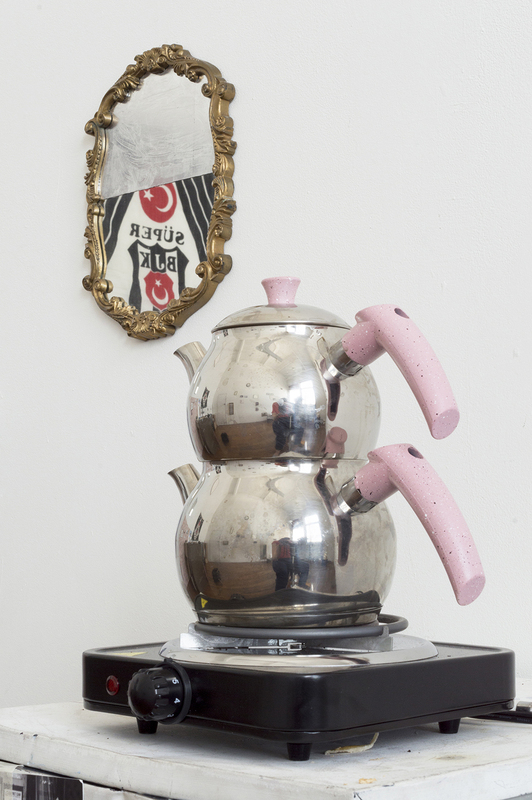 Ufuk Gueray, Atilla's Mirror Shop, 2018, mirror and Turkish tea kettle, installation view at ISCP. 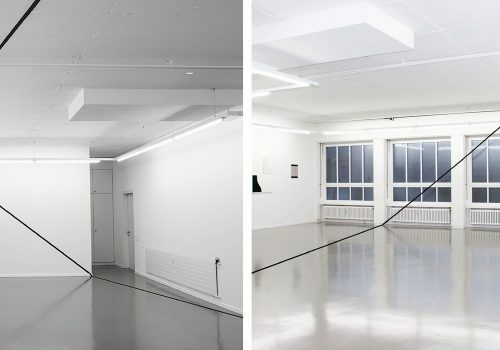 Sonia Louise Davis engages improvisation across installation, writing, weaving and performance. 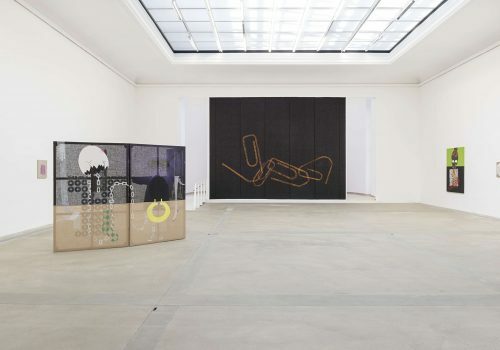 In her practice, Davis creates experimental scores using an invented graphic notation. Her work is deeply informed by critical race and feminist theory as well as her training as a jazz vocalist. Sonia Louise Davis was born and raised in New York City. 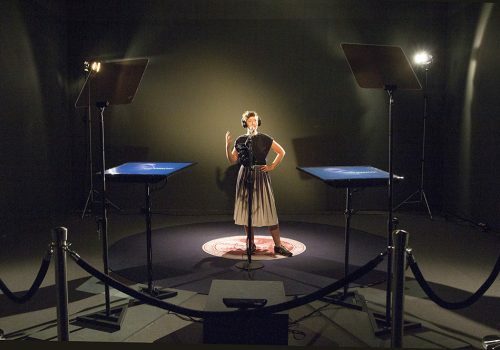 In September 2016 her large-scale collaborative performance shake the stars with your song premiered at the Whitney Museum of American Art. 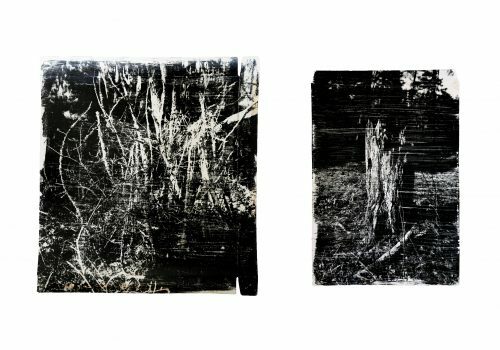 She has exhibited work at Visitor Welcome Center, Los Angeles; Elizabeth Foundation for the Arts Project Space, New York City; and the Bronx Museum of the Arts. This past spring her writing was published in Women & Performance: a journal of feminist theory. An honors graduate of Wesleyan University and alumna of the Whitney Independent Study Program, Sonia lives and works in Harlem. 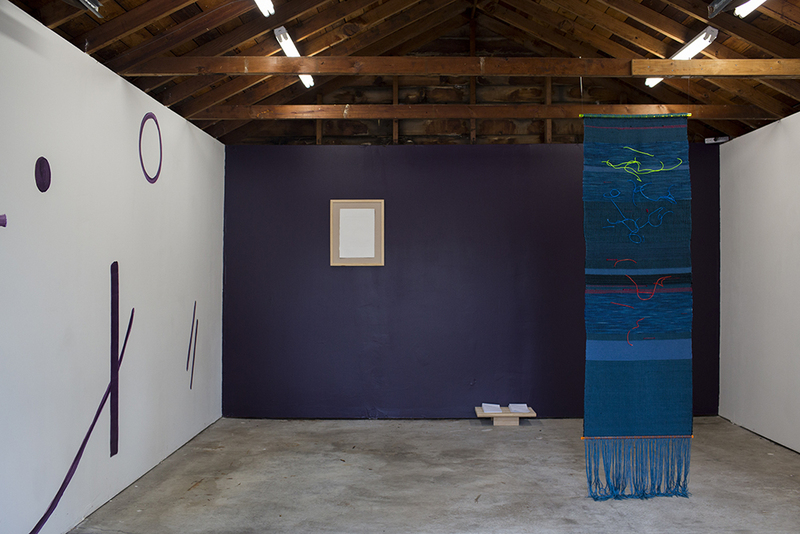 Sonia Louise Davis, a score to keep time / a score to lose time / but never yourself, in it, 2017, installation with wall drawing, and hand-woven tapestry, dimensions variable. 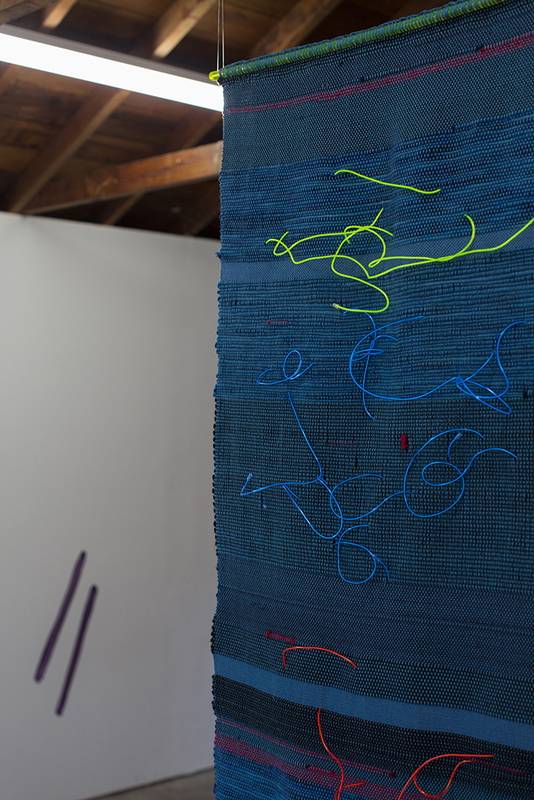 Sonia Louise Davis, blue nile (for alice), detail, 2017, hand-woven textile, natural and synthetic fibers, electroluminescent wires, and battery packs, 72 × 22 × 2 in. (182.88 × 55.88 × 5.08 cm). 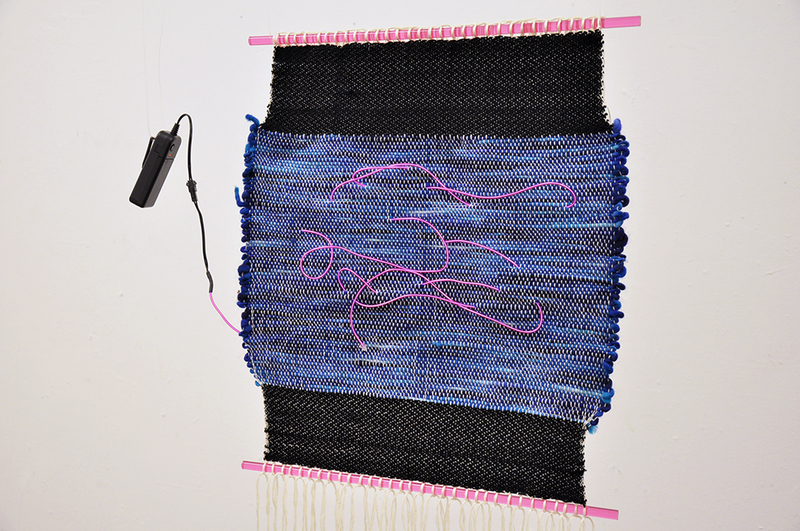 Sonia Louise Davis, blue black twill, 2017, hand-woven textile, natural and synthetic fibers, electroluminescent wire, and battery pack, 16 × 20 × 2 in. (40.64 × 50.8 × 5.08 cm). 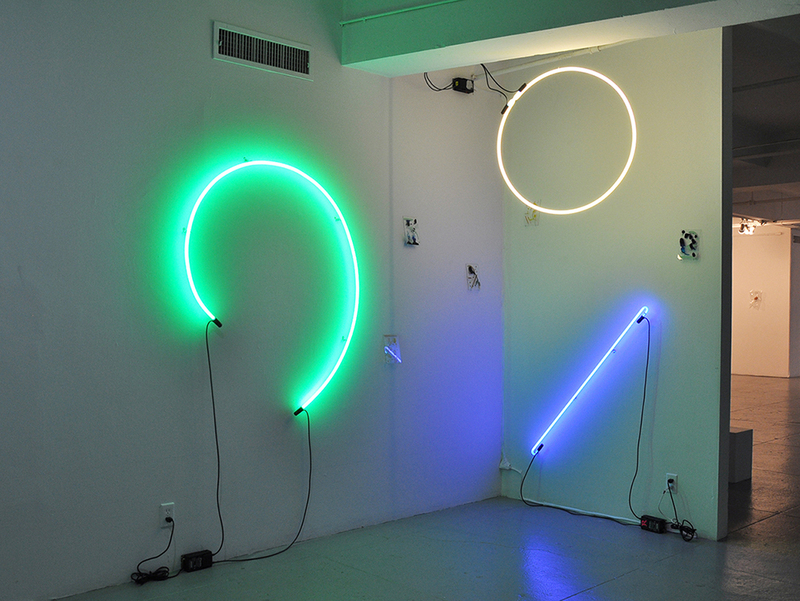 Sonia Louise Davis, color is the sound an object makes when light strikes, 2016, installation, gloss enamel and liquid watercolor on glass, neon tubes, and transformers, dimensions variable. 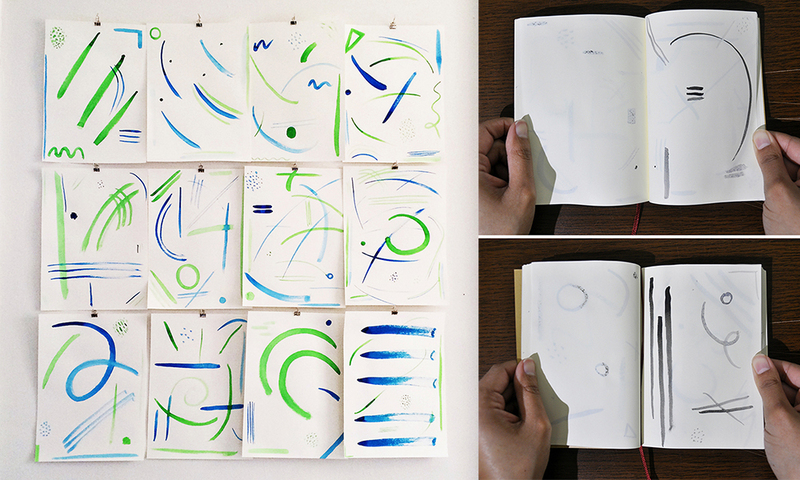 Sonia Louise Davis, duet blue + green, grid; black solo, journal, 2015, 2016, liquid watercolor on cold press paper; liquid watercolor in soft bound notebook, 11x15 in. each and 144 pages. Bettina Brunner is a curator, art critic and academic focusing on avantgarde film and contemporary moving image practices. 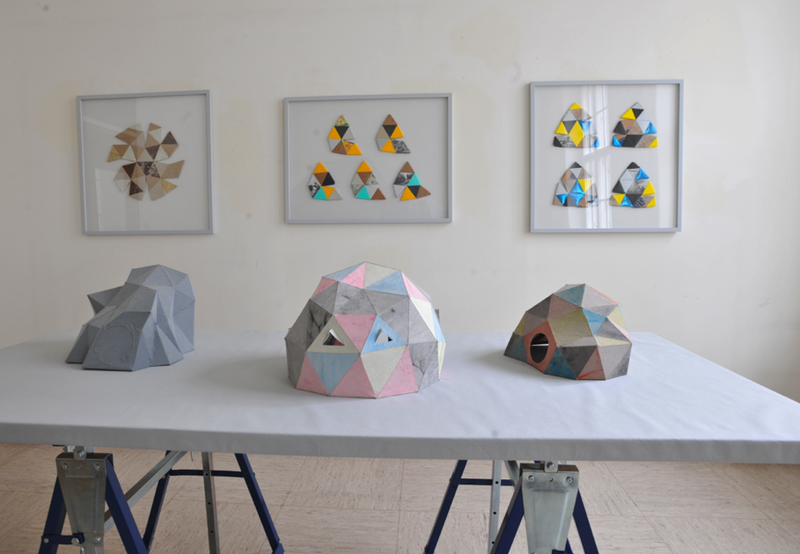 Bettina Brunner has an MA in Art History and recently completed her PhD at the Academy of Fine Arts Vienna. As an independent curator she has organized film screenings and exhibitions at mumok kino, Vienna; das weisse haus, Vienna, and Auto Italia South East, London. She has previously worked at Thyssen-Bornemisza Art Contemporary, Vienna; British Film Institute, London; and Cubitt Artists, London. 'Thwarted Representations' by Joyce Wieland and the Filmic Portrait, 2017, film screening at mumok kino. Photo by György Horvath. 'Rock My Religion' by Dan Graham, 2012, film screening at das weisse haus. 'OWT' by Laure Prouvost in 'Getting It Wrong' , 2012, group exhibition at das weisse haus. 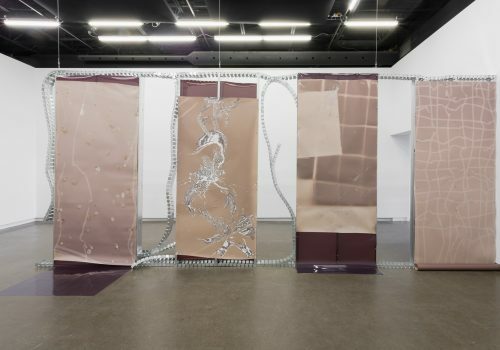 'The Wanderer (Betty Drunk)' by Laure Prouvost in 'Getting It Wrong', 2012, group exhibition at das weisse haus. Photo by Anne Nimmesgern. 'A Weekend in the Countryside' by Stefan Eichhorn in 'Getting It Wrong', 2012, group exhibition at das weisse haus.